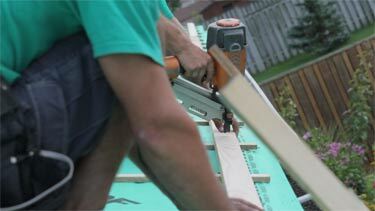 Michigan steel & metal roofing contractors. 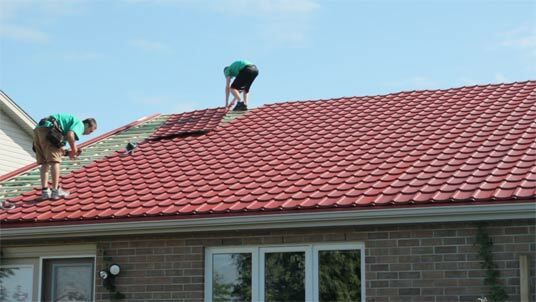 Eco-Metal USA is a family owned and operated metal roofing company distributing and installing high quality metal roofing products throughout the great state of Michigan. An industry leader in quality steel and aluminum roofing, it is our long-term goal to supply customers in Michigan with environmentally-friendly, long-term sustainable roofing products. 10 customers in a row just said we deliver exceptional service! Check it on Guild Quality. Upgrade your current residential roof to a more long-term solution in metal roofing panels. Offering a strong warranty, we provide a range of products accommodating residential concerns and we will prepare your property for everything from a harsh winter to an unexpected rain event. Match your roofing products to the exterior of your building and the immediate surroundings. 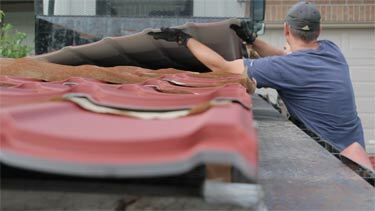 Pick your color and your roof’s profile according to your needs. Get tile panels that are cut according to the size of your roof, eliminating wastage and keeping your costs as low as possible. When you buy from Eco-Metal USA, you make the best choice for yourself and your property in the long-term. 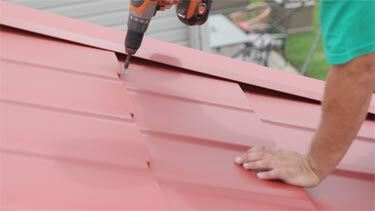 The use of zinc-galvanized cutting edge technology gives your roof an extended value lasting as long as five decades or more depending upon a variety of factors. Give your home an extra dash of something to look at and put your personal style on display. Through a number of customizable options, you get to choose the product that you feel best matches your property. There are advantages to each of these materials and we would be happy to discuss what might be best for your home, plus select a style and color. Traditional shingled roofs experience much damage over time including excessive loss of granules, curling and weathering. You don’t need to experience this with metal, steel or aluminum roofing products which will be able to last through the years in a way that traditional options cannot compare. Provides long-term protection against peeling, blistering, cracking, splitting, and delaminating. From roof and wall assemblies, to flashing and fasteners, we offer a wide range of agricultural and commercial related products. The benefits to using metal roofing panels in an agriculture/commercial environment is that they weigh less than traditional shingles and in most cases, can be applied directly over your existing roof. That’s right – save on removal and disposal fees! Eco-Metal USA provides Eco-Tile (single panel) which is intended for self-installation. These smaller panels are easy to handle and install, making it ideal for homes, cottages, sheds, high pitch roofs, and other applications. Combining experience and expertise in home renovation with major name partnerships, all of our metal roofing products come with an extended warranty ensuring a quality product ready for installation. The success we’ve had serving the needs and desires of homeowners in Michigan can be attributed to the quality of our products. All of our customers take pride in their home and property. We make it a point to share in that respect, treating your property as if it was our very own. 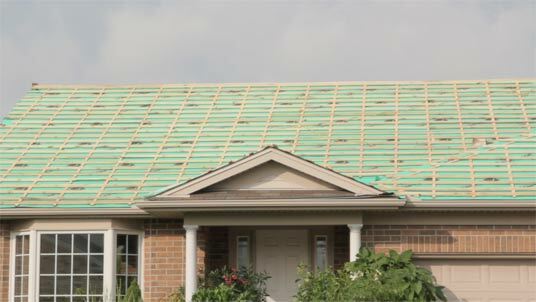 High quality roofing products found with Eco-Metal USA will add value and style to your home, giving you a dependable and long-lasting roof that is not going to crumble under harsh, unexpected weather. Protect your property and your family with a superior, environmentally sustainable product at a reasonable cost. Eco-Metal USA uses steel from North American suppliers only, always ensuring the highest quality possible in our product distribution.